Statement tells of fears of victimisation by colleagues on strike and those who influenced them. Twenty-two people from Air Terminal Services (ATS) who went on strike 15 days ago have returned work, a press statement by ATS has stated. These workers have now claimed that there are many others like them who want to return to work, the statement further said. Many also stated that while they are willing to accept a warning letter for their actions they are wary of victimisation from those who continue to strike and from those who influenced them to strike. The statement further said: “The company is aware that many involved in the strike were unduly influenced by their union leaders not to attend work. ATS has modified the Return to Work letters that were initially published to clarify workers concerns over the disciplinary action that would be taken against them. The letters now clearly states that they will not be terminated, but will get a warning letter. “Striking workers have been advised through media releases, paid advertisements and through social media of the facts surrounding the illegality of the strike. “On Friday, there was an overwhelming response to the vacancies ATS advertised. The calibre of applicants was impressive and ATS is confident that should the striking workers continue to choose not to return to work that services can be maintained. “The response to the walk-in interviews not only indicates that number of people looking for employment it also emphasises that ATS is an employer of choice with excellent working conditions. “The Company continues to urge workers to take advantage of the ATS Board Chairman’s offer and to return to work and call the Company if they wish to seek further clarification. Meanwhile, Catholic Archbishop Peter Loy Chong on Friday led a delegation of the Church, and visited the striking ATSworkers in Nadi. The Fiji Council of Churches, led by the president of the Methodist Church in Fiji, Reverend Tevita Banivanua, is to lead a delegation on Tuesday. 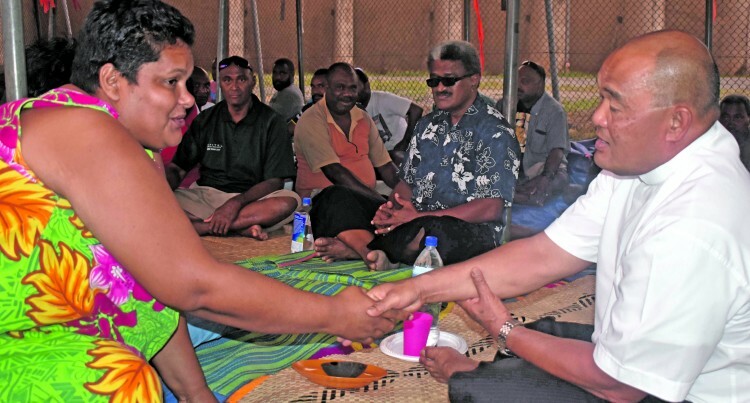 “I called him (Rev Bainivalu) that we need to show support as we have a role in the society, work is a basic necessity for life to bring to fulfilment our talents and potentiality and we need to support that,” Archbishop Chong said.